Bricks are a traditional material with warm colours, but bricklaying is not an easy job. This is why Weser have developped interlocking modular blocks for pillars which can be laid without particular prior knowledge of bricklaying. 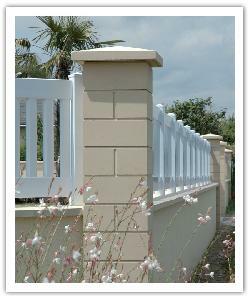 The pillar joints are made with a grey finish to resemble lime jointing and give an overall aspect of traditional brickwork. 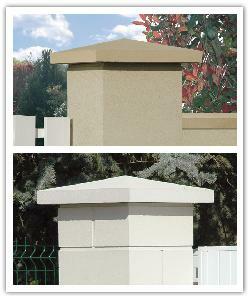 Before lyaing pillars, it is necessary to identify all the components and to choose the right dimensions.